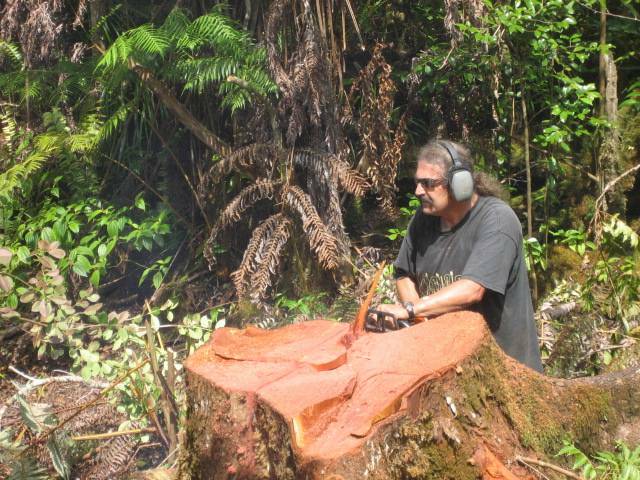 Most of the koa wood that is cut on the island of Hawaii comes from trees that are either dying or have already fallen down on the ground. Often the trees will lay on the ground for years before they are found, removed and cut for timber. This is one such log. 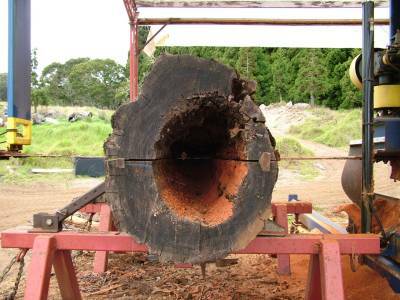 We call logs like this shells because the center has been completely rotted out. 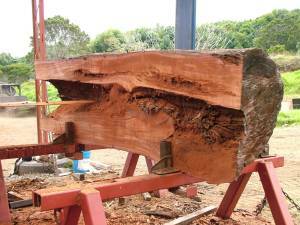 The outer shell can yield some beautiful wood for instruments. 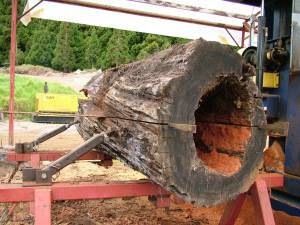 The log is first split on a large chainsaw splitting mill. Then each half is split again on the same mill. 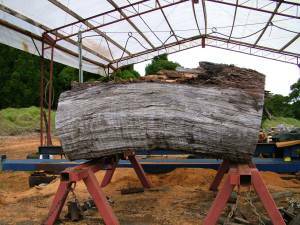 The log quarters are then moved to a smaller bandmill where the wood is carefully positioned to get the most quartersawn wood out of it as possible. 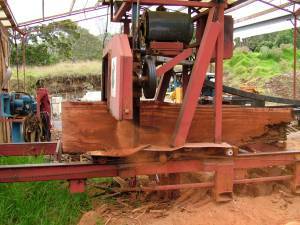 Quartersawn wood is the only cut of wood that we normally use in instrument making. Several years from now I'll be making guitars and ukuleles from this wood! Sometimes I chainsaw cut wood from left over stumps. Here I am cutting Toon wood, which will later become necks.